In 2015, The Equality Institute was engaged by The Asia Foundation to provide overall technical oversight to the Health and Life Experiences Baseline Study in Timor-Leste. The Equality Institute provided a holistic service: we designed the study, produced all the study tools, trained researchers, monitored fieldwork, advised on ethical and safety issues, analysed the data and produced the final report. This study was undertaken as part of the Foundation's Nabilan Program, an innovative eight-year initiative targeting violence against women through three core pillars: prevention, services and support, and access to justice. The Nabilan Program is underpinned by rigorous research, and the findings of the Study will inform future programming and advocacy undertaken by the Foundation and their local partners. The Nabilan Study was implemented using a combined methodology, adapting both the WHO and UN Multi-country Study questionnaires for research on violence against women. 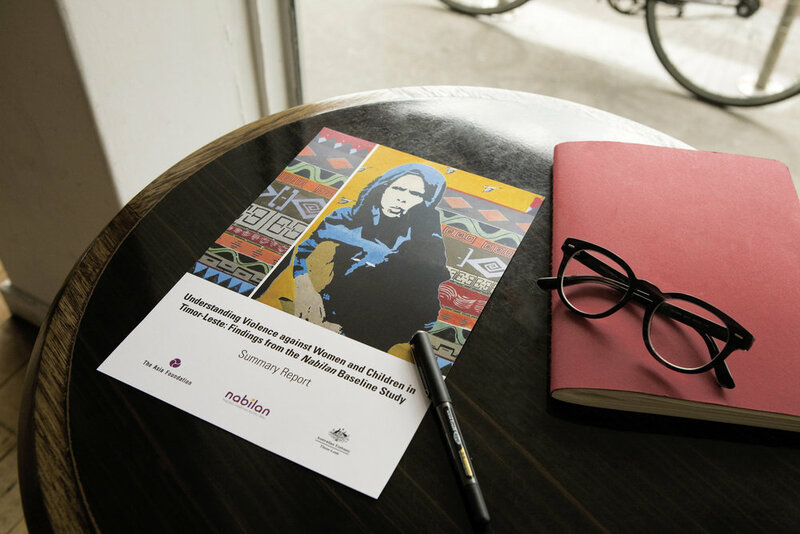 This was the first time either of these questionnaires had been conducted in Timor-Leste, and the first quantitative study into men’s use of violence against women in the country. The objective of the women's survey was to establish national prevalence data on women's experiences of intimate partner violence and non-partner sexual violence, as well as the associated impacts on women's health, and the factors that may make women in Timor-Leste more or less likely to experience violence by an intimate partner. The men's perpetration survey looked to understand the patterns of men's use of violence against women in the study sites, and to identify factors that may be associated with men's perpetration of intimate partner violence.